We recommend adding an image and setting up the text for the welcome email. This welcome email get sent after the membership has been ordered. Here's an example of a resort the sells a popular membership during the Spring for their Summer events. Step 3: Setup your links. 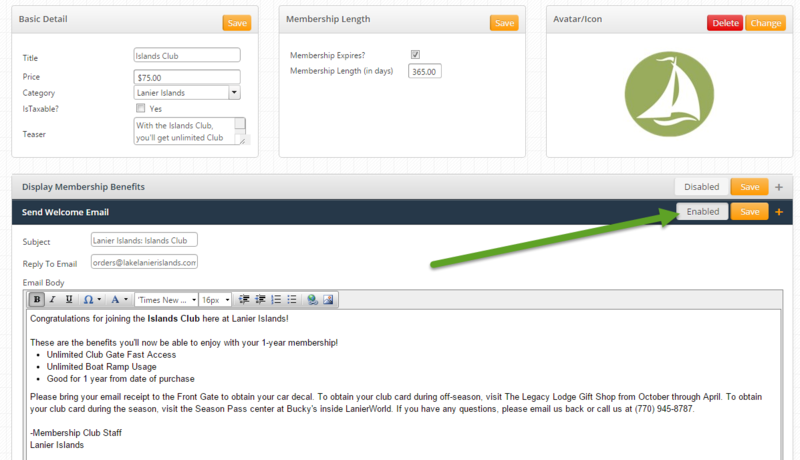 If anyone clicks this link the will go directly to your shopping cart page with this membership in their cart.